If you are interested in becoming a real estate investor, the first thing you should do is ask yourself why you want to extract cash from the equity in your home: paying children's college bills, relieving credit card debt, taking care of elderly parents. When you are sure there is a good reason to use the cash, then figure out how much you can extract. The first step is to spell out your net worth. Begin by evaluating your home. That is likely to be your largest asset. The best way to determine the value of your home is to order an appraisal. You will also need to know, if there is a mortgage, how much is still owed on the property? What could you afford to pay into a saving plan from the money you saved? 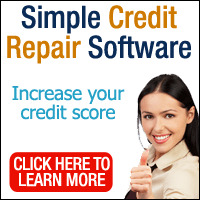 You will need to look at your creditworthiness next. 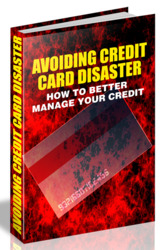 Where are you in your credit payments? Are you under water? That is, do you have too much debt compared to income? Once it is clear what can be pulled out of the property, you should turn to a financial planner. The financial planner will determine the amount of money you can live on from month to month. So if you can bring in $1,000 a month in income from real estate and can generate another $2,000 in income from your day job, that should be fine. Here your employment history comes into the picture, at least in part, to help determine how much the person can pay in mortgage payments, and how much he or she can invest. If your monthly income is $11,000, the rule of thumb is that your total debt including your mortgage, taxes, insurance, credit cards, and car payments should not exceed 36% of your monthly income—or $3,960 a month. You can purchase a home worth as much as $400,000. The next step is to set up a mortgage arrangement. Most people want to know how they will pay in monthly payments. If you want to pay the least amount in monthly mortgage payments, look at the ''negative amortization'' plan, one of the new mortgage instruments spelled out in this book in Chapters 9 and 10, where some interest is deferred. By going that route you will either save money or be able to pay off a credit card. If you want usable cash, take some money from equity from your home because the home has appreciated in value. You may be able to pull out of the house as much as $200,000 or $300,000. In most cases you can have a monthly income and still have sufficient dollars to service the debt of the new mortgage.